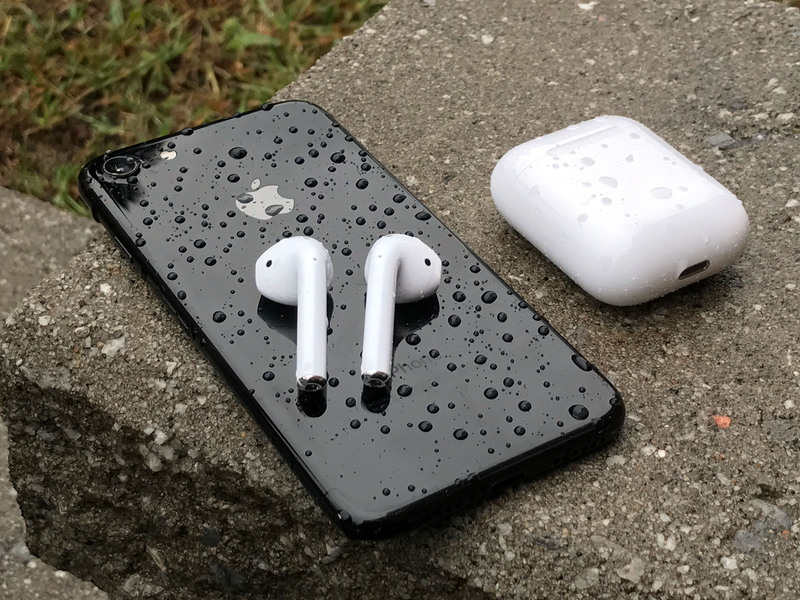 How do you use your AirPods with your iPhone? With your Apple Watch? What about your iPad and Mac? Like this! Apple's AirPods, the easy-pairing headphones for iPhone, also work with Apple Watch, iPad, and even Mac. Physical controls are non-existent, though. So how do they work exactly? AirPods 2 come with Siri support, which means you can ask a question or give a command and Siri will do the work for you. Make sure you've enabled Hey, Siri on your iPhone or iPad and then all you have to do is talk. Just like double-tapping to trigger Siri, the digital assistant can answer questions, make a phone call for you, and control your music playback in iTunes and Apple Music. Just start with "Hey, Siri," and follow with whichever question or command you have, whether your iPhone is in your pocket or in the other room. "Hey, Siri. What time is it?" "Hey, Siri. How much battery power do my AirPods have?" "Hey, Siri. Play my 'Good morning' playlist." "Hey, Siri. Skip this song"
"Hey, Siri. Where's the nearest coffee shop." Remove at least one AirPods from your ear. AirPods also have accelerometers, so they can tell when you double tap them. By default double tapping an AirPod launches Siri. You can change the double tap shortcut to play/pause, though, if you prefer. You'll probably want to leave the shortcut on Siri, though, because that's the only way to directly control playback from your AirPods. Tell Siri what you want to do. "Skip back" or "skip forward"
"Skip back 35 seconds" or "skip forward 23 seconds", or any time interval you like. "Lower volume 10%" or "raise volume 20%", or any percentage you like. You can also tell Siri to play any song you have in the Music app and any podcast you have in the Podcast app. If you don't want to use Siri, you can use the Now Playing card in Control Center — or any audio app — on iPhone, Apple Watch, or iPad. If you put an AirPod in your ear, the audio playing on your iPhone will automatically switch to your AirPod(s). You can also switch to them manually at any time. Launch Control Center on your iPhone. 3D touch or long press on the Now Playing card. Tap on the audio destination button. Alternatively, you can go to Settings > Bluetooth and tap AirPods. Once you've paired your AirPods with your iPhone, they'll automatically be paired with your Apple Watch running watchOS 3 or later. If you start playing audio on your Apple Watch, your AirPods will automatically switch over to them as the target. Launch Control Center on your Apple Watch. Tap on the AirPlay button. When you pair your AirPods with your iPhone, iCloud will sync the pairing to any iPad you have running iOS 10 or later and logged into the same account. Launch Control Center on your iPad. Tap the audio destination button. Pairing your AirPods with your iPhone also pairs them with your Mac. That's because iCloud will sync the pairing to any Mac on macOS Sierra. Click on the Bluetooth icon in your Mac menubar. Because it's a multi-person rather than single person device, iCloud doesn't (yet?) sync AirPods to Apple TV. You can still pair your AirPods to your Apple TV using standard Bluetooth headphone procedures. What's more, you can pair your AirPods to any Bluetooth device the same way, including Android phones and tablets, and Windows PC and tablets. Have questions about using your AirPods with iPhone, Apple Watch, iPad, or Mac? Drop them in the comments!